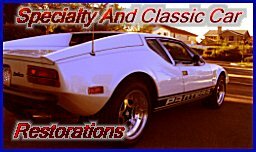 The ZR1 Pantera Project by SACC Restorations | Update: The LS3 is out! What makes the LS9 better? The LS9 is honestly a work of art. GM put so much R&D work into the LS9. The main reasons why we think it will be better is the sheer power differences. We estimated that the LS3 was putting just around 400HP to the rear wheels. With the LS9 we are estimating high 500s to the rear wheels and over 700 at the crank. Not only is the supercharger extremely efficient, but it is also rock solid stable. Since GM has to warranty the motor in the ZR1 Corvette for 3 years, the motor is extremely reliable without sacrificing power. It is going to be a blast to drive!